The Seal Beach Committee of the Philharmonic Society of Orange County (PSOC) recently presented a $1,000 donation to McGaugh Elementary School to support its music education programs. The check was presented by Committee President Louise Dubos during McGaugh’s 2018 Christmas Concert. 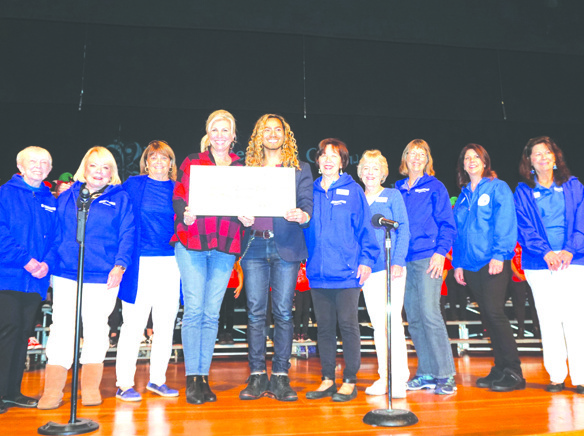 The concert was well attended, including McGaugh Principal Roni Ellis and Music Director Topher Von Kollen, who were both excited to get this donation. The Seal Beach Committee of PSOC is a local group of civic-minded citizens who support and encourage music education in our schools. Anyone is welcome to join. The next PSOC meeting is Thursday, Jan. 24. For more information, please call President Louise Dubos at 562-522-9893.